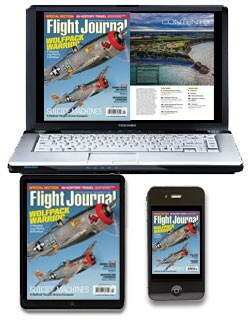 Flight Journal is like no other aviation magazine in the world. Gripping accounts of flights and combat missions put the reader in the cockpit with all involved: pilots, engineers, gunners and eye-witnesses. Flight Journal covers the world of aviation from its simple beginnings to its high-tech, no-holds-barred future. We see aviation history through the eyes of those who made it. The leader in the field of aviation photojournalism, Flight Journal captures what it's like to pilot aircrafts that inspire fear and awe, from the historic B-17 Flying Fortress to today's F-16 fighters. 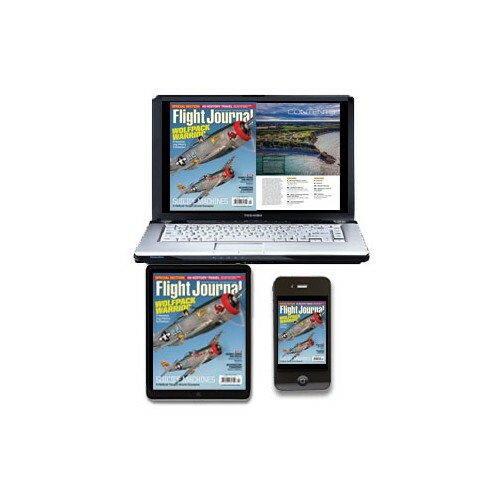 When you purchase a subscription to the digital edition of Flight Journal, you get access to the digital magazine via the browser edition and the App edition. 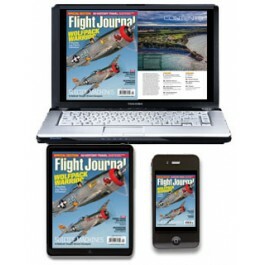 Subscribers can log in on the FlightJournal.com home page as well as download the free app from Apple's App Store and sign in to access Flight Journal on an iPad or iPhone.